Shipping and transportation are indispensable to making the modern world function normally. At any given moment, there are 20 million shipping containers on ships criss-crossing the world’s oceans, and tens of millions more on freeways. The modern economy has developed in such a way that most goods travel thousands of miles from where they’re produced to where they’re ultimately purchased. As The Atlantic Wire online magazine points out, it’s cheaper to ship fish from Scotland to China to be filleted and returned to Scotland than for those fish to never leave the British Isles. Shipping is big business, and it gets incredibly complicated. The task of moving all of this freight is made even more tangled by the fact that most trucking in the United States is done by independent drivers. Connecting these truckers with their loads is a constellation of freight brokers and shipping companies, all of whom have to communicate with each other to make sure those shipments reach their destinations on time. 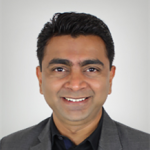 AppTrack was a startup that understood how complex this whole system was, and saw an opportunity to make a lot of lives easier. What they envisioned was an app that could easily connect drivers with shippers, and let shippers track their shipments in real-time. It’s one thing for a customer to get a shipping number from the postal service and track a package as it arrives in and departs various post offices. To create an app that lets people track unlimited shipments in real-time would be a whole different order. The users would be small- to medium-sized shipping companies and their drivers, so it’d have to be an app that anyone could handle. AppTrack also wanted it to be free to download and cheap to use, and they wanted it to work just as well on mobile platforms as on a desktop. In short, they wanted an app with both power and simplicity. When AppTrack contacted SPINX to develop a desktop and mobile application that was easy-to-use, highly scalable, and data-intensive, we knew it’d be a tall order. We knew that a simple user interface was crucial, so we made AppTrack as easy as possible to use. We gave the app three tabs: “Dashboard,” “Track History,” and “Manage User.” On the dashboard, the shipper can click “add driver,” adding the driver’s user information and mobile number. Once they invite the driver, there’s just one more step to link the manager to their shipment. Mobile technology these days is pretty miraculous, so real-time tracking is possible. The sophisticated GPS that comes standard in smart phones would allow the shipping company to track the driver’s movements across the country. The trick to real-time tracking was to link the driver’s phone with the cloud. When the controller sends the driver an invite after entering their information, the driver receives that invite and logs into the AppTrack mobile app from their device. The app asks for permission to access the phone’s GPS, and voilà, the driver and shipper are linked for tracking. The app is a free download for both iOS and Android, so it’s no pain for either the driver or the agency to get. Once their shipment is linked, the driver doesn’t need to worry about anything but their trip. Of course, any shipping company is going to have more than one driver to worry about, though. 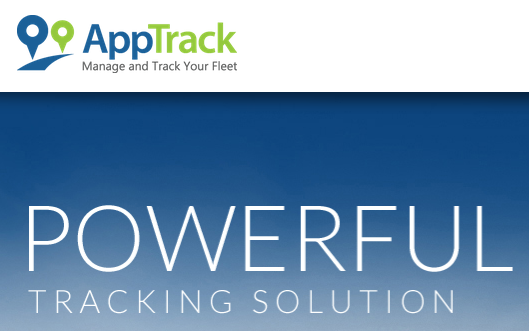 AppTrack needed an app platform that could handle entire fleets. For a freight broker, tracking countless drivers all over the continent is the hard part. Keeping them organized and within contact is even more challenging. We knew that the AppTrack program had to be able to manage this easily, so we made creating a fleet plan a step-by-step process. In order to create fleet plans, the shipper just has to click the “Create a Fleet” button. A touch we added for clarity was to have the arrow icon turn into a hand with a finger when it hovers over a live link. The shipper then clicks how many admins they’d like to add, and adds as many drivers as they want to the fleet. AppTrack made unlimited admins and unlimited drivers part of the Software as a Service for only $25.00 a month. 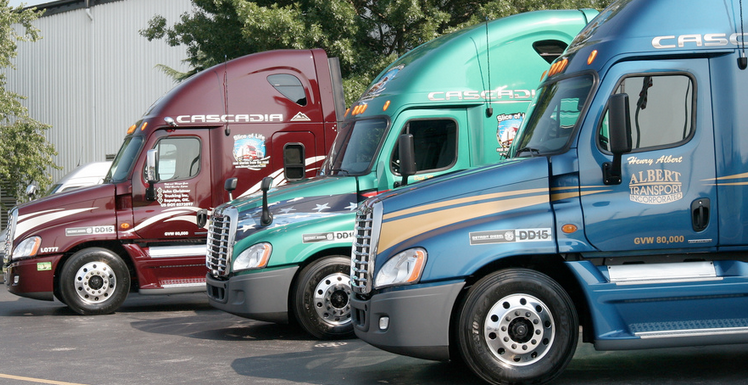 Today, AppTrack is used to manage hundreds of fleets and is constantly growing. The innovations that made AppTrack so revolutionary don’t just work for the field of shipping, either. At its core, the app is a scalable product to easily connect people, which can work for any industry. At SPINX, we’re pleased to have made the app of AppTrack’s dreams—one that’s both powerful and simple. AppTrack understood the value of a professional design and development team, and got the mobile app they wanted in return. Contact us if you do, too.